Checking out the fun site for The Daily Buzz – so glad they’re back on the air! 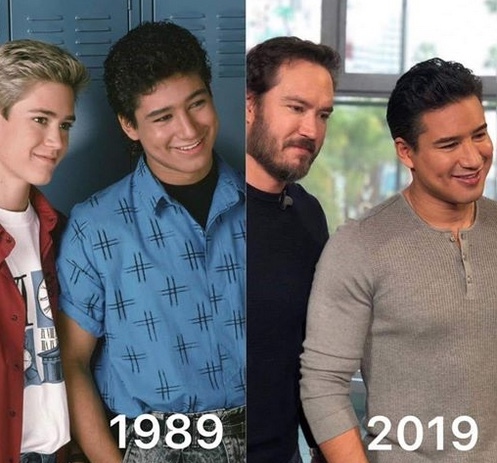 – I hopped onto their Facebook page and saw this way cool then-and-now pic of none other than cutie-pie Mario Lopez. That brought back the fun memory of meeting said hunk back in 2011 when he made a stop here in the Capital City – Raleigh, NC. He was kind, posed for a pic and signed a poster for us! He even listened patiently as I told him he should star with his own sweetie in the personalized novel “Another Day in Paradise” – our best-seller. It’s nice when the stars are as nice in person as you hope they will be. 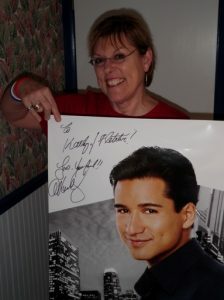 Here’s hugs and a hello to a nice guy – Mr. Mario Lopez – extra, extra, indeed! This entry was posted in News and tagged Mario Lopez, The Daily Buzz. Bookmark the permalink.